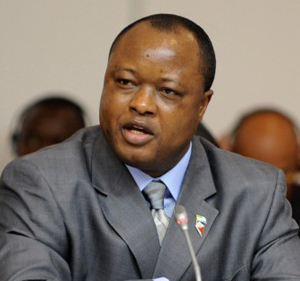 Journalists working for Al Jazeera English have uncovered corruption in the office of Sierra Leone’s Vice-President, Samuel Sumana. The detailed undercover investigation features in the documentary Timber!, broadcast at 22h30 GMT on Wednesday 23 November 2011 as part of Al Jazeera’s Africa Investigates series. A 2006 European Union report identified logging as the leading cause of environmental degradation in Sierra Leone. According to the Sierra Leone Forestry Ministry, unless immediate action is taken against logging, all of the country’s forests – as well as the many endangered animal and plant species they support – could disappear by 2018. The President, His Excellency Ernest Bai Koroma, has made no secret of his concern about logging and his desire that it should cease. The government of Sierra Leone has officially outlawed the practice several times. 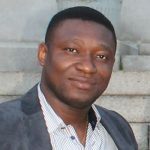 Emmy award-winning Sierra Leonean journalist Sorious Samura discovered illegal felling of rare hard wood in several parts of the country. In a number of meetings with illegal loggers, Samura posed as a businessman interested in illegal timber exporting. Despite laws prohibiting felling of trees without license, he found illicit logging taking place in all the forest areas he visited. He also met local officials all too willing to supply him with illegal wood. In one instance a local Paramount Chief not only offered to sell him several tons of illegally cut wood, but also to introduce Samura to high level contacts within the Sierra Leonean government to help him breach the ban on timber exports. In the second half of the investigation, Samura’s colleague, the multiple-award-winning Ghanaian journalist Anas Aremeyaw Anas, visited the Vice-President’s office undercover. Anas and a colleague, againposing as businessmen, met with His Excellency The Vice-President Samuel Sumana and two of his friends, who claimed to be official advisors. Later the two men, Alex Mansaray and Momoh Konte, sought and accepted cash payments from the ‘businessmen’, which they claimed would help secure the Vice-President’s support for a timber export business that the undercover reporters wished to establish. Vice-President Sumana later admitted to Al Jazeera that he knew the men but said their claims to be his advisors were false and that he hadn’t received any money solicited by them on his behalf. His statement did not explain how Mansaray and Konte came to be using his office to secure bribes in the first place. Commenting on the outcome of the investigation, Samura said, “As in many parts of Africa, timber has become the new diamonds. The country’s forests are at risk of being completely wiped out. Timber! is the third of six investigations in the Africa Investigates series that puts flesh on Al Jazeera’s ambition to give voice to the voiceless. In a world-first, Africa Investigates gives some of Africa’s best journalists the opportunity to pursue high-level investigative targets across the continent – using their unique perspective and local knowledge to put corruption, exploitation and abuse under the spotlight.